As we promised earlier, we reached out to both HTC and TELUS about the Desire HD Android 4.0 upgrade situation for a bit of clarifications on what's is going on with the update and TELUS has gotten back to us with an official statement. Check it out after the break. On July 10 the TELUS team was told by HTC that the planned Android 4.0 upgrade for the Desire HD was being suspended, but did not provide further information with regards to timing or status. At this time, HTC has yet to provide us with further information on the status of this upgrade. With our commitment to being transparent around planned device software upgrades and keeping our customers informed, we updated the information in our OS upgrade schedule that gets posted on our website bi-weekly. Since that time, this story has received a lot of attention, and we want to be clear as to TELUS’ role in this process. • The decision to suspend the software for this device was made by HTC, not TELUS. • The software was not suspended due to its incompatibility with TELUS software or applications. • If HTC should take this upgrade out of a suspended status, TELUS will follow normal process to ensure that the software is released to our customers. At TELUS, we are committed to giving our customers the best experience possible. We’re waiting to hear back from HTC about possible future updates to this device and as soon as we hear from them, we’ll let you know. We will also update our device OS upgrade schedule which can be downloaded at: http://www.telusmobility.com/Software-Updates. In the meantime, thank you for being patient with us while we get to the bottom of this with HTC. We have gotten word from HTC but are waiting for an official statement. 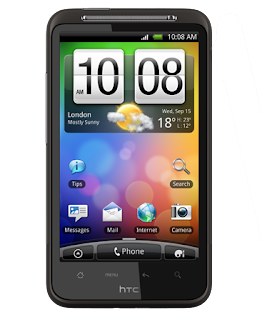 To be quite frank, from what we are hearing so far, we don't like how it's looking for the chances of seeing an HTC Desire HD official ICS update. We will keep you posted as more information comes in.